Urge the California Public Utilities Commission (CPUC) to fully investigate the costs and reliability of the defective San Onofre Nuclear Power Plant and to compare it to other available energy sources. Urge the Nuclear Regulatory Commission (NRC) to hold a transparent and public license amendment procedure for the plant’s two reactors. The reactors at San Onofre have been shut down since January, when one of the tubes in the recently replaced steam generators failed and leaked radioactive steam into the environment. Further testing revealed unprecedented, accelerated wear in thousands of these tubes, less than two years after the steam generators were replaced. Unit 2 has been offline since January 9th. Unit 3 has been offline since January 31st. In a decision filed on December 15, 2005, the CPUC approved a plan under which Southern California Edison could bill ratepayers up to $680 million for the costs of four replacement steam generators ($569 million for replacement steam generator installation and $111 million for removal and disposal of the original steam generators). The CPUC required a reasonableness review for expenses beyond this amount and set a maximum ratepayer collection cap of $782 million. A technical report commissioned by Friends of the Earth estimated the cost of repairing or replacing the faulty generators at San Onofre at $400 million to $800 million. This estimate does not include the costs of replacement power, inspections and preliminary repairs, which according to recent reports by Edison have already reached $165 million. Under state law, Edison can ask the CPUC to allow it to recover its costs through rate increases to its customers. An investigation by the CPUC, such as the one called for by the Santa Monica City Council, could end in a ruling that Edison, not its customers, is liable for the costs. Such a ruling could push Edison to permanently shut down the reactors rather than incur additional expenses. The Council vote also directs the City of Santa Monica to urge the Nuclear Regulatory Commission to conduct a public, transparent license amendment hearing on San Onofre. A license amendment is a formal, open and legally adjudicated procedure that would allow for independent expert review of the significant modifications to the replacement steam generators. Under NRC rules, a license amendment is required for major design changes to replacement equipment like those Edison made to these replacement components. In a petition before the NRC, Friends of the Earth and other public interest groups charge that the replacement generators were not “like for like” as Edison presented them to regulators, but instead were substantially altered. 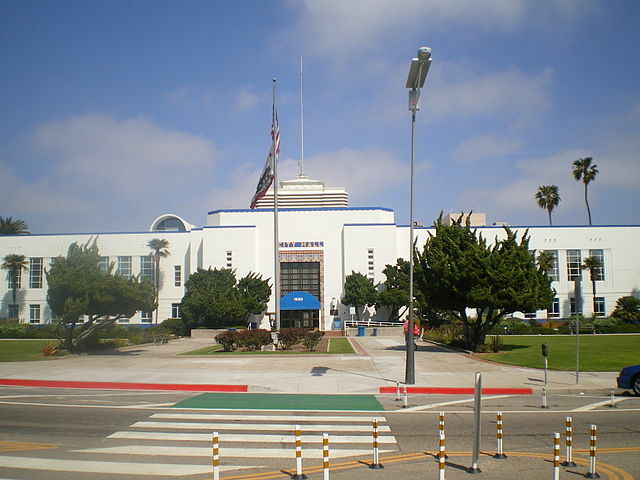 Santa Monica’s action is similar to the resolution unanimously adopted last week by the Laguna Beach City Council.